Celebrate the first annual Menstrual Hygiene Day! What are you doing on May 28th? You can join us in celebrating the first annual Menstrual Hygiene Day. On this day, organizations from across the globe will be busting taboos associated with menstruation and menstrual hygiene so girls and women will no longer have to lose out on days of school and work, improve their health and well-being, and most importantly, reclaim their dignity. You can join into the festivities too! 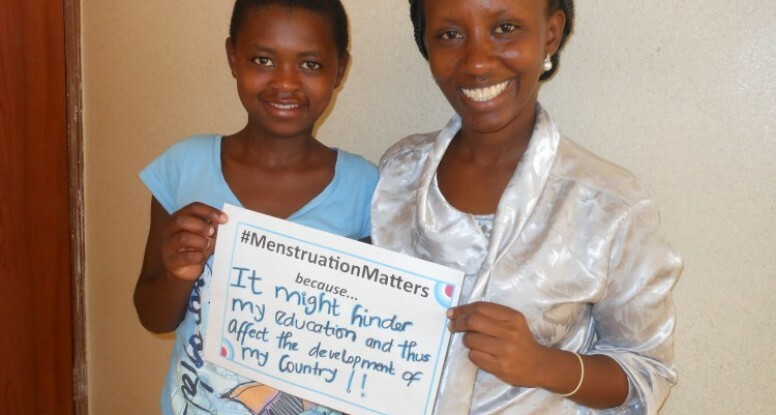 You can join Nadia and Eloise (featured above) and create your own #MenstruationMatters sign. Just print it out and take a picture of yourself with your reason why #MenstruationsMatters to you! Put it online (Twitter, Facebook, Pinterest, etc.) and let’s get #MenstruationMatters & #MenstrualHygiene trending on Twitter on MH Day! Share the Menstrual Hygiene infographic on your favorite social media platform and use these fact sheets as great conversation starters to get people talking about Menstrual Hygiene. 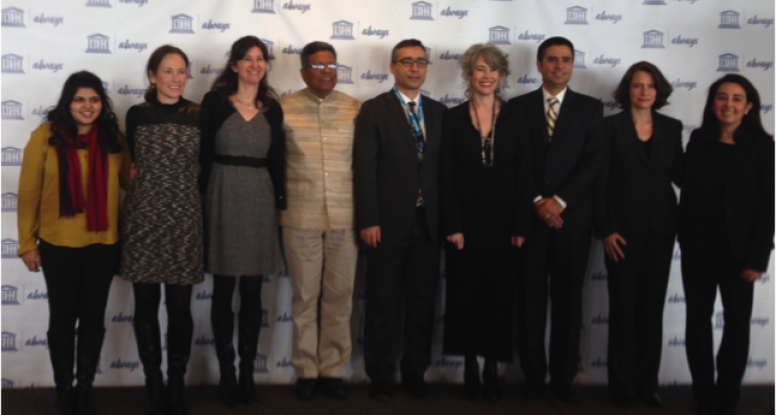 Working with SHE as a Global Health Intern, I was lucky enough to be able to attend a remarkable and groundbreaking event that announced the publication of “Puberty Education and Menstrual Hygiene Management: Booklet 9”, a key document published by UNESCO in partnership with Proctor and Gamble. 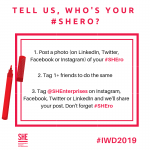 This is particularly exciting since SHE was included as a case study for our dual-pronged business approach and advocacy work to addressing menstrual hygiene at the school level. The event included a first-hand account about the impact of the menstrual hygiene management crisis from a young woman from India. Ameira works for the YP Foundation in New Delhi, India, and did not learn about proper menstrual hygiene until she was 18 years old and attended a health workshop. She is now working with young girls and women in India on educating them about menstrual hygiene. UNESCO Director, Irina Bokova, stated that puberty should be a turning point and not a barrier for these girls. Menstrual hygiene management deserves the upmost attention to help keep girls in school, and feel confident about themselves. 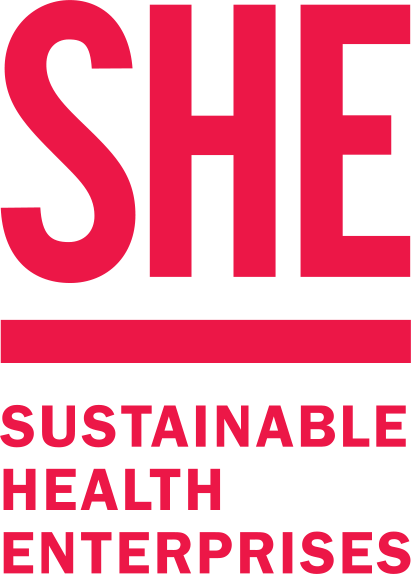 I have been interning with SHE for almost 8 months now, and I’m proud to say that the work we have been doing and continue to do so has helped many women in Rwanda to become game-changers of menstrual hygiene management. This is a major feat in the ongoing battle that many other young women in developing countries face. With already precarious health and educational infrastructures in these countries, shining light on this issue and pulling these women out of ignominy is what will endow them with the confidence to overcome the fears and shames of menstruation. It is with highest hopes that this booklet serves as a reminder of how far we have come and how much further we need to go. While this publication represents a shining beacon of progression, we must continue to break the silence, foster confidence, and empower these amazing young women around the world. As Joyce McFadden stated, “If a girl cannot feel at home in her own body, she cannot feel at home anywhere.” No young girl or woman should ever feel ashamed of herself because of her body, PERIOD.